on our current vehicles for sale on EBAY!!!! 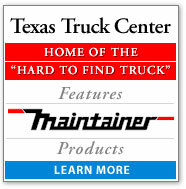 Texas Truck Center is a leader in mechanics service trucks & lube equipment. We're the �Home of the Hard to Find Truck�. We're family owned & operated since 1988. Our goal is a long term business partnership, never a one-time sale. We take pride in the fact that we only offer top quality equipment. 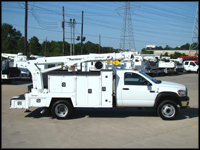 We take extreme measures to qualify our trucks and truck equipment. 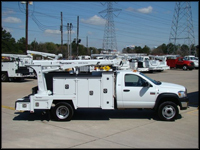 Our technicians perform all necessary reconditioning to ensure a superior product. 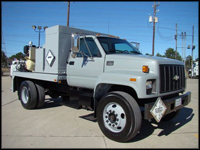 Our custom equipment includes service bodies, Lube Bodies, LP Gas bodies, crane bodies, flatbeds, cranes, compressors, welders, PTO, lube skids, monument service trucks and more. CALL 888-321-9546 FOR ADDITIONAL INFORMATION.